Research into how students learn, found that there are 3 ways that your children should be studying for long term retention. These are retrieve what you've learnt, spacing your studying and interleaving your subjects. Read on for details of what these mean. When studying, children tend to just read over their notes or textbooks. This does not work because reading will only stay in the short term memory for a few seconds and then will disappear. 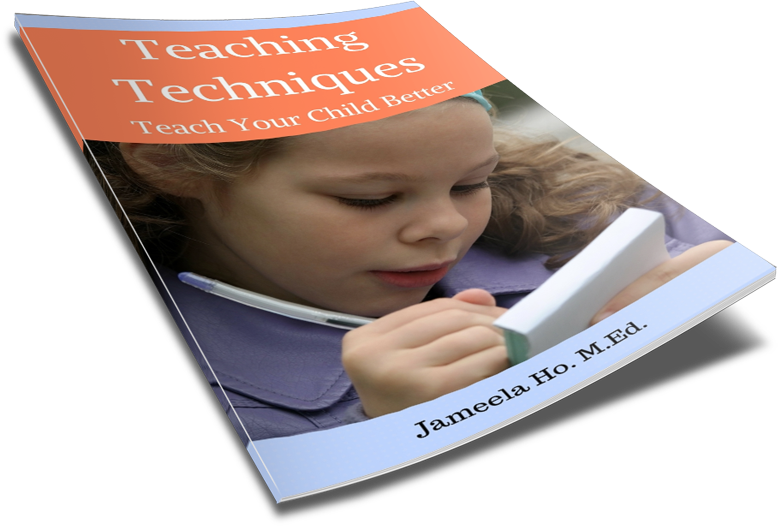 What children need to do is to get it into long term memory by memorising and recalling what was read or written. There are a few ways to help you memorise and recall. The first is to memorise the main or important points. This will help to trigger the memory of what each point is about. You could use flashcards to help you recall. Write the questions on one side and the answer on the other. Shuffle them and pick one card. Read the question and try to answer it without looking at the answer on the back. Once you've attempted the answer by retrieving the information then you can check the answer on the back. Read 'Use Flashcards to Improve Learning'. You can use memory strategies such as mnemonics and pegs to help you memorise. Read '3 Ways to Improve Your Child's Memory to Help with Learning' where I go into details of mnemonics and two others. Space your study periods. 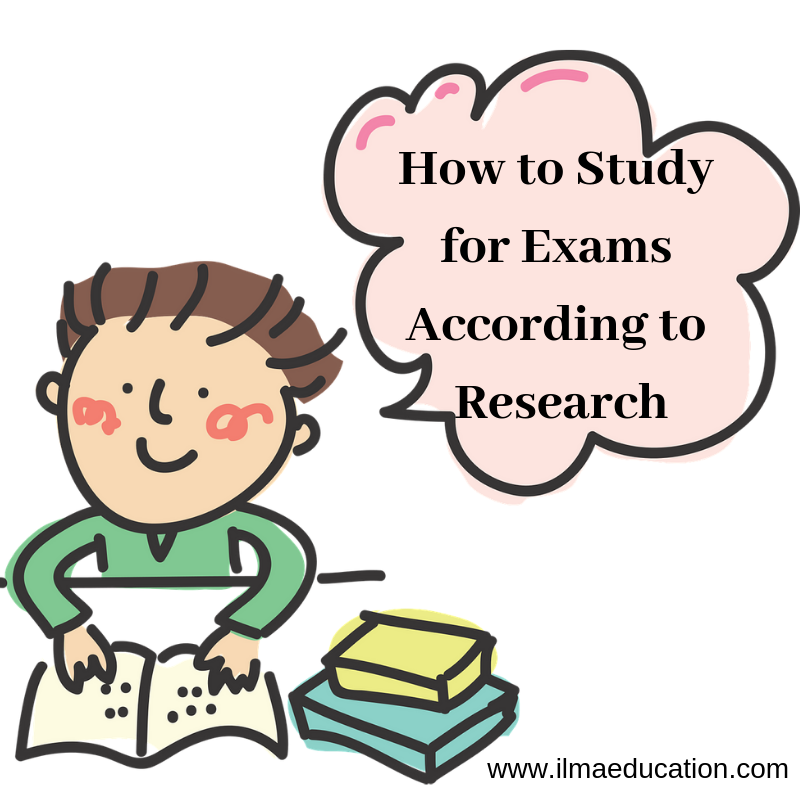 Don't just study one subject for long periods before the test. Don't cram. This might work in the short term but after the exam, it'll all be forgotten. Instead, study for short intervals over a period of time. You will remember much more for much longer. 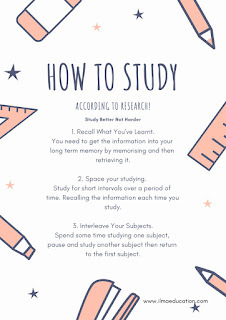 Why this works is because each time you study and recall the information, your memory for it gets strengthened. The more the study periods of recall then the more you'll remember. For example, if it's Friday and the test is on Monday then study and recall on Friday afternoon. On Saturday morning, study and recall again. Do this again on Saturday night, Sunday morning, Sunday night and Monday morning. Each study period would be around 20 minutes - depending on how much information there is. You'll find that by Sunday the recall periods will get shorter and shorter as you will have memorised most of it and the retrieval will be much quicker - maybe 10 minutes at the most. This depends on how many subjects you have to study. If there are two subjects then spend some time studying one subject, pause and study another subject then return to the first subject. If there are three then interleave the three subjects. What this does is that the more you interleave then the more you'll come back to your topic and the more often you'll recall what you've learnt. 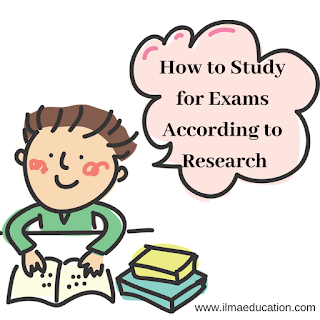 For example, study your test subject for 20 minutes then study another subject or do your homework for another 20 minutes.Take a break or study another subject for 20 minutes. Come back and study the first subject for another 20 minutes, trying to recall the information and so on. These three ways really work, subhanallah! It's all about recall. I've taught my children to study this way and alhamdulillah, it works! Try it. 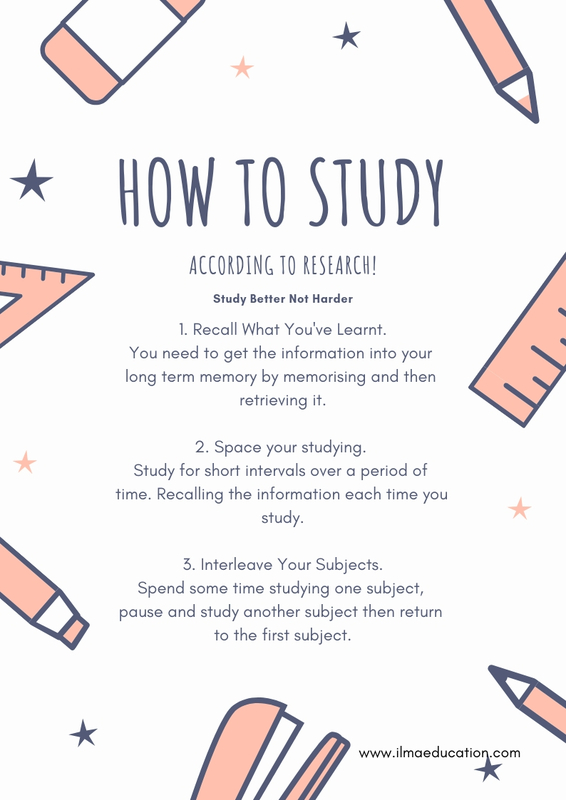 Download this PDF summary sheet of how to study and hang it up on your wall to remind you.